If you are looking for some delicious, easy to make casserole recipes, then you have stopped in the right place. For the past five years, I have used these delicious casserole recipes passed down from my mother and grandmother. They are so simple to make and your family - especially the kids - will love them. Each of these yummy recipes take 7 ingredients or less, so get out your casserole dishes, fire up the oven, and get ready to prepare a delicious meal that your whole family will enjoy! Boil chicken breasts in garlic salt water until tender. Let cool and cut chicken into bite size pieces. Mix cream of chicken soup, sour cream, and chicken pieces together in a large bowl. Spoon into greased 13 x 9 casserole dish. Next, combine stuffing mix, margarine, and chicken broth in large bowl. Spread on top of chicken mixture. Bake at 350 degrees for 35 minutes. Cook spaghetti noodles according to instructions on package. While these are cooking, melt margarine and pour into 13 x 9 casserole dish. Sprinkle the dish with parmesan cheese. Add cooked spaghetti noodles and mix well with butter and parmesan cheese. Cover the spaghetti with half of the mozzarella cheese. 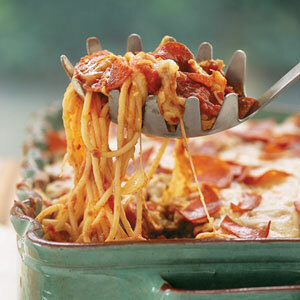 Place the pepperoni slices (and any other pizza toppings) on top of cheese and then cover with spaghetti sauce. Top with the remaining mozzarella cheese and another layer of pepperoni slices (and any other toppings you have used). 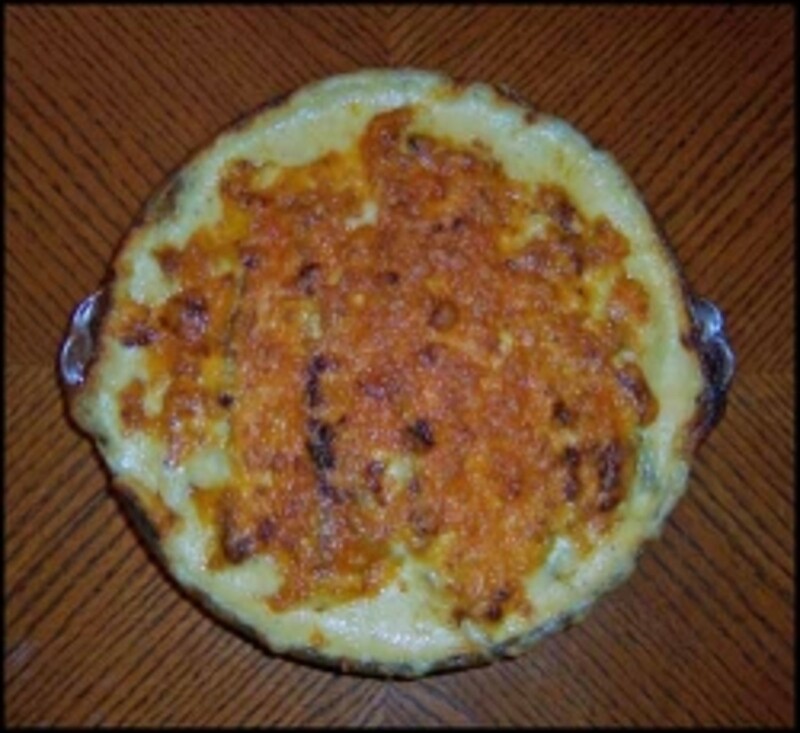 Bake casserole at 350 degrees for 30 minutes or until top layer of cheese is melted. In large bowl, add rice with chicken flavor packet seasoning, cream of chicken soup, cream of mushroom soup, and milk. 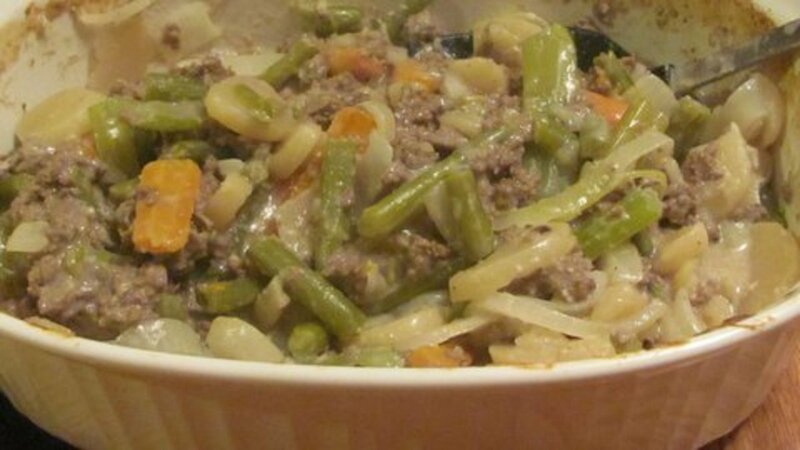 Mix together well and put in 13 x 9 greased casserole dish. Lay chicken pieces on top of casserole and sprinkle with paprika. Cover with aluminum foil and bake for 90 minutes at 325 degrees. 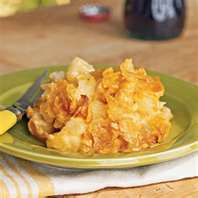 Combine hashbrown potatoes, butter, onion, cream of chicken soup, sour cream, and cheddar cheese in large bowl. Spoon into greased 13 x 9 casserole dish and bake at 350 degrees for 50 minutes. There you go - four quick, easy to make, delicious casserole recipes that will please even the pickiest eater. 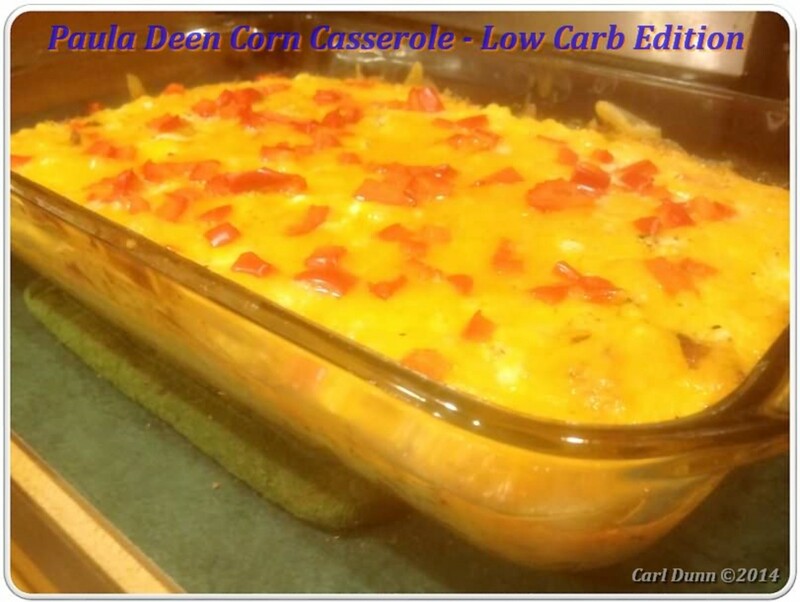 Hope your family enjoys these yummy casserole dishes as much as my family does! Thanks vespawoolf! 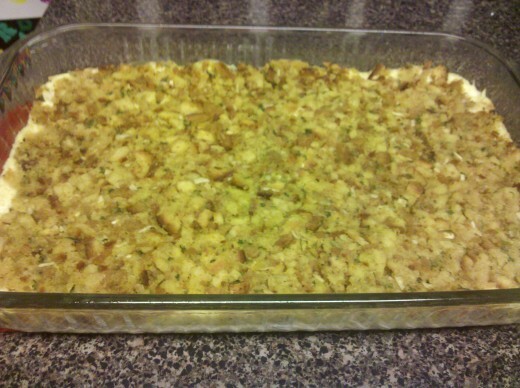 The chicken and stuffing casserole is my go-to recipe when I am craving Thanksgiving food. So good! Appreciate you stopping by and commenting! These casseroles all sound delicious. We don't have all the ingredients here, but this gives me some ideas...especially the chicken and stuffing casserole! I like the idea of having it all in one pan. Thank you for sharing! Thanks for the vote up Shawn! They all are delicious so you can't go wrong with any of them. Appreciate you stopping by and commenting! All of these casseroles look really good. I'm having a hard time deciding which one to try first. Voted up. I can totally relate to the busy mom thing. Most of the meals I make are done in 30 min or less. But if I have time the chicken and rice casserole is a big favorite around here. Hope your family enjoys them! Thanks for reading and appreciate the vote up! Man I got to get me a husband like yours! Mine use to cook a few meals a week when I was working but no more since I decided to stay home. You should really try the spaghetti pizza one it's great! Thanks for reading Beth! Ok, this hasbrowned tater recipe is the ONLY thing my husband allows me into the kitchen make (besides spaghetti), and it is so delicious! The spaghetti pizza casserole sounds great, too. Might have to just write that recipe down. Now that sounds delish! I will have to try it that way next time. Thanks for reading and sharing that! That's awesome. I really hope they enjoy making them. Yes please let me know how it turns out. Appreciate you reading and posting your comment! I am a counselor in a group home, housing ten clients. I'm always looking for easy fix recipes that I can guide my clients through that won't taste like the box. We're gonna try one of these tonight........I'll let you know. They are all a hit with my family. Hope you enjoy them as much as we do! Thanks for stopping by and leaving your comment! The recipes sound so easy and yummy.Thanks for sharing. I hope they enjoy them! Thanks so much for checking them out! Thanks Alissa!!!! Been needing some easy recipes for when im cooking dinner for the girls!!! They will love them!!! These look great Alissa! Thanks for sharing. I think the Spaghetti/pizza one would be a hit with our kids. I love casserole recipes! So fun and tasty. I'm going to bookmark this. I especially want to try the spaghetti casserole and hash brown casserole. Thumbs up! Voted up!